The benefits of weight training. There are many. A faster metabolism, a toned physique, and increased strength. The down side? Is there a down side? Well, my hands are looking like a fifty year old construction worker’s. Make that a man construction worker. I noticed in the past year or so a lot of veins popping up on my hands. I know veins may be a part of aging hands, but I don’t think so suddenly and in such abundance. Of course I can’t be sure. 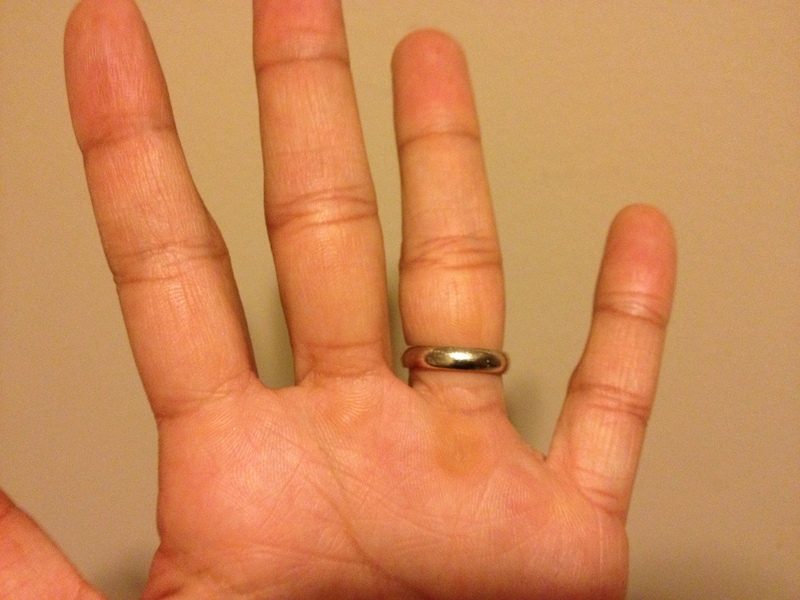 I have also read that weight loss can cause veins on hands due to decreased body fat. I have noticed that Sarah Jessica Parker’s face looks very youthful on SITC, but her hands have bulging veins. I feel it is because she is extremely thin with very little fat on her body. I am nowhere near Ms. SJP in size or weight, but I have lost weight. About twelve to fourteen pounds. Could this have contributed to my senior-looking hands also? Until recently, I wasn’t the best at caring for my hands. I would dive them into a bucket of harsh cleansers without gloves, when washing surfaces, floors or sinks. I washed countless dishes and never gave gloves a thought until now, so it could also be plain neglect. I have also noticed the increased appearance of veins since I started heavy weight lifting. Calluses are another issue. I have about two hard calluses on both hands from my pull-up and bar grip. I know what you’re thinking. Why not just wear gloves? I do wear gloves, but I also lose gloves. Like all gloves, winter gloves included. I’m like a little kid who needs their winter gloves clipped to their jackets.That is why I need to move to the tropics. You don’t need winter gloves in Mexico, but I digress. In the past year I have lost four pairs of expensive weight training gloves. I remove my gloves to go to spin or another class and always end up forgetting them in the studio. At times they are placed in the lost and found by the cleaning staff (thanks ladies!) and at other times they go into glove oblivion never to be seen again. Now I’m trying to put forth a better effort to care for my hands. More lotion, and using gloves when cleaning. I’ve never been the type to go for a manicure but I may have to be the type soon. As for my cuticles, I won’t even go there. A kid in my kindergarten class gave me cuticle cream as an end of the year gift. Enough said. These are the negatives of weight training! -olive oil on hands each night and wearing my Avon repair gloves when sleeping. 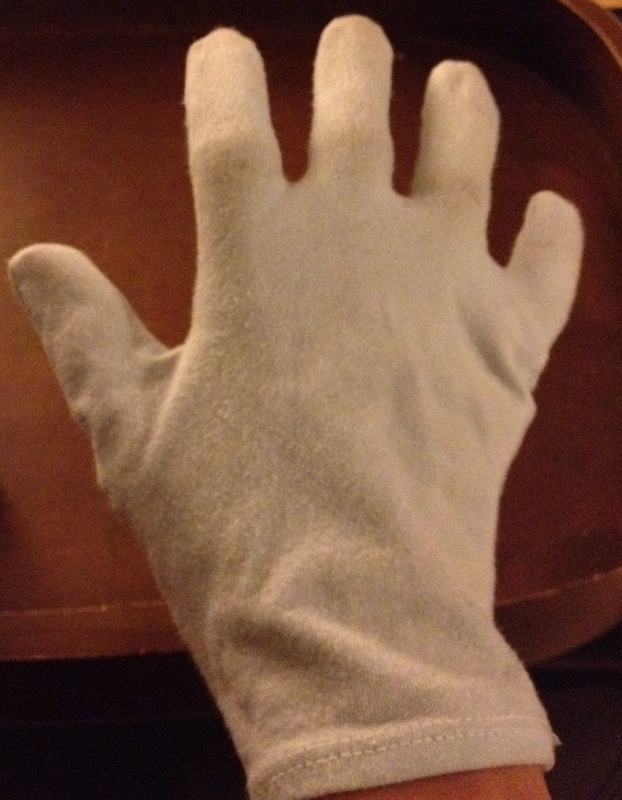 Wait….where’s my other Avon hand repair glove? I can only find one. What did I tell you about me and gloves. Maybe I was Michael Jackson in a past life. That’s my routine in a nutshell. Any suggestions for the callused, veiny and aged? Do you think I could clip weight training gloves to my gym clothes? My hands are a disaster too. 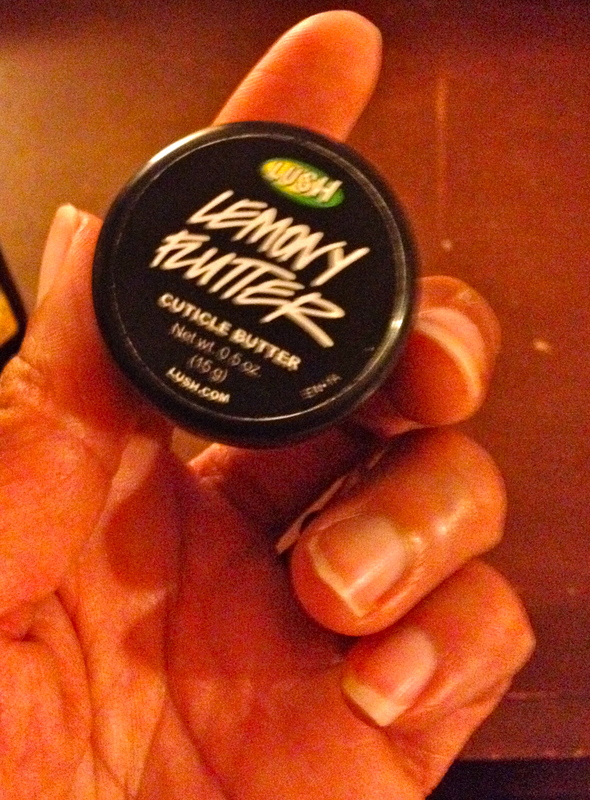 I should develop a hand care routine..I’m sure it would help with the dry skin/wrinkles! My palms are worse though…so many calluses and tear scars from CrossFit…I should probably care more about those but they make me feel so badass I don’t really mind them! So many ladies say , “who cares?” I’m tough and rough. I don’t care about my hands. I’m badass.” I get it because I will never stop pumping iron. I love it , but I don’t want my hands to look ten years older than my age. If that’s the downside of weights, I’ll take it. I will never stop lifting. I totally understand. Your hand does not! Stop it! By stop it, I mean stop stressing or worrying about it. It’s in your head. However, moisturizing is always beneficial. It’s not too bad I hope. Yes, I try to treat my hands better now. Lots of moisturizing. Haha! Gotta keep the brown skin in check. I really need to get it together with the moisturizing. Your hand looks beautiful and so strong! I know what you mean about hands taking a beating though. I need to try your olive oil/glove thing! Thanks Melanie. 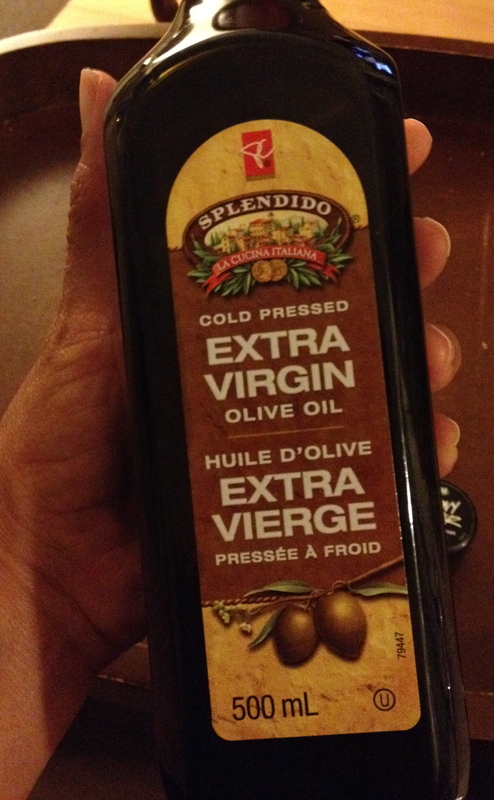 The olive oil treatment is great. Haha! Love your positive approach. Oh yes my hands need some TLC, I can relate. 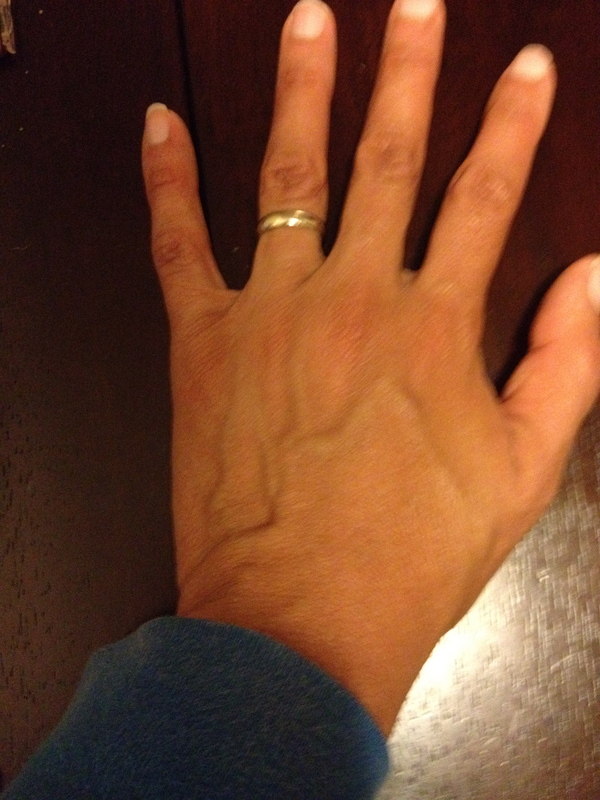 Even scarier than my veiny, bony and calloused hands…is when I look down at my hands…but SEE MY MOM’s hands!! Mine are replicas…EEEEEkkkkkkk! Thanks for reminding me, I should book a manicure, Im overdue. I’m seeing my mom’s hands too. Especially when I am working/cleaning. Yikes! Consuming water will help with your hands if you want to try it. Stay hydrated and it plumps the skin. Your hands are lovely if those are yours and your heart is even lovelier which is more important. Thanks Ellie. That’s is such a sweet sentiment. Nothing is more important than a beautiful heart.